Patrick Rolink was literally born in The Bush and this show is the story of his survival, with tales of local rituals and shenanigans guaranteed to entertain you. Patrick’s childhood saw him subjected to dangerous rituals such as “Kiss, Cuddle or Torture” and “Best Man Dies”, peril lurked everywhere! 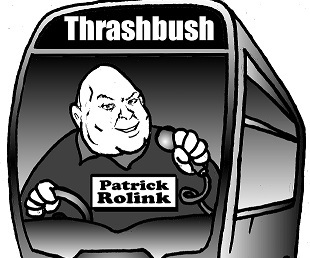 Listen to the funny and heartening story of Patrick’s adventures on graduating from The Bush…culminating in his collaboration with a Muscovite to expand the gene pool in Thrashbush.